Cosmetic Acupuncture is a non-invasive, non-toxic and cost-effective alternative therapy to naturally revitalize your youthful beauty and overall wellbeing. Cosmetic acupuncture is the gentle insertion of tiny needles over your problem areas to stimulate natural collagen production, as well as over your entire body to assist with nourishing your skin from the inside out. Cosmetic acupuncture will not only have you looking more vibrant and younger, it will have you feeling wonderful as well. Traditional Chinese Medicine (TCM) has been practiced for thousands of years to combat skin conditions and signs of ageing. Utilising the core principle philosophy that health and beauty is a result of correct balance within the body, TCM believes if the body is in alignment, healthy and strong, then beauty radiates from the face. At Spring Acupuncture, we have a holistic approach to treating each and every individual with a personalized plan to promote natural beauty. TCM views the face as a map of inner health, and by taking note of the disharmony on the face, such as wrinkles, acne, sagging, lusterless or discoloration of the skin, our practitioners can form a TCM diagnosis of your inner health. Stress, digestive issues, hormonal imbalances and insomnia can all cause health disharmonies that lead to premature aging. Cosmetic acupuncture uses a combination of facial and body acupuncture, internal and external herbs, massage, dietary and exercise advice to combat and regulate the bodies response to these disharmonies. This approach of treating the individual as a whole leads to a more satisfying, long-lasting and noticeable result, that is both natural and safe. Cosmetic Acupuncture enhances fresh collagen and elastin production under the skin by improving blood circulation to nourish the facial tissues, whilst aiding in the removal of toxins and dead skin cells. The gentle insertion of acupuncture needles creates micro tears within the deeper skin layers. The immune system responds to these tears by creating new collagen and elastin fibres that help the skin to form strong bonds between cells resulting in firmer, vibrant and clear skin. We have 43 muscles in our face, acupuncture and facial massage relaxes these muscles, producing highly effective results with facial rejuvenation. What is the recommended cosmetic acupuncture therapy regime? Infrared light therapy used in conjunction with your cosmetic acupuncture rejuvenation plan will enhance the effects and speed up your results. Studies have shown that repeated exposure to red and infra-red wavelengths stimulates the body’s cellular photoreceptors and the natural production of collagen. This increases collagen production, filling in fine lines and wrinkles in the skin, producing the desired anti-aging effects. Book your initial consultation now. If you’re wanting to look younger and have glowing skin without the use of toxic chemicals or invasive procedures, consider the proven effects of natural and safe cosmetic acupuncture. Our easy online booking system makes it simple to book a session. 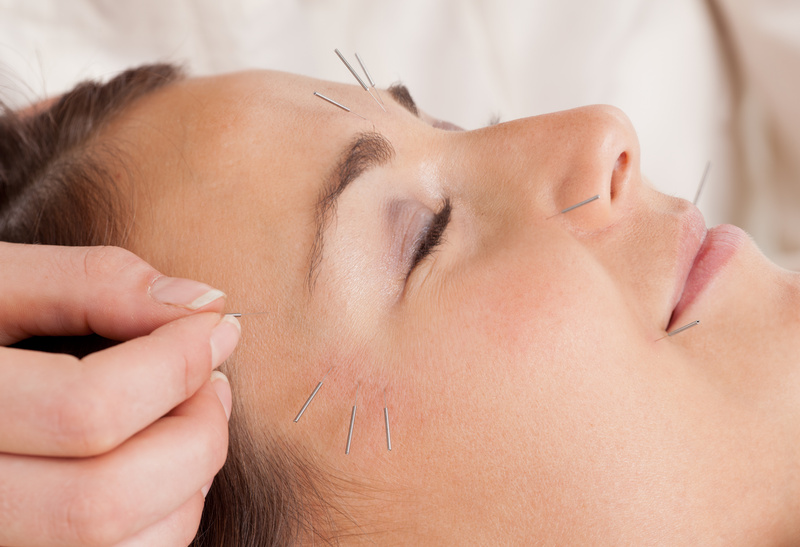 Are there any side effects of cosmetic acupuncture? Cosmetic Acupuncture has minimal side effects and like most forms of therapy, the results will vary from individual to individual. There is little downtime and after a session your skin may have some redness and a warm sensation that will disappear in a few hours. It is important to understand that cosmetic acupuncture is not a cure, and will never completely eliminate all signs of aging, but when you start glowing from the inside out everybody will be asking what you’ve been using to look this good. Who should have cosmetic acupuncture? those just wanting to look their best every day without the use of toxic chemicals and invasive procedures. Who shouldn’t have cosmetic acupuncture? Straight after other facial rejuvenation therapies such as Botox, surgery, micro-dermabrasion or laser treatments. Suzzanne Sunner is our cosmetic acupuncture specialist here at Spring Acupuncture. Her gentle technique and incredible ability to utilise TCM to enhance your inner beauty and get you looking fresh faced and years younger is amazing. Suzzanne is passionate about using only the finest quality facial acupuncture needles and organic topical herbs, and will have you floating after one of her signature facial massages. To find out how cosmetic acupuncture can have you looking and feelig younger book an appointment with Suzzanne today.